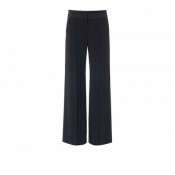 Our range of trousers are stylish and versatile. From summer linens, elegant palazzos, fashionable chinos to smart, day to evening trousers. The emphasis is on a fashionable yet very wearable fit. A great pair of jeans will form the backbone of your wardrobe, so finding the best fabric and cut is important. All ranges come highly recommended, having been tried and put through their paces by the Liberties team. 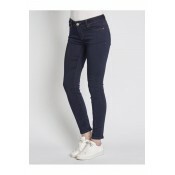 Mos Mosh Duffy Glam Jeans 117920 A perfect pair of 5 pocket denim jeans crafted with plenty of stre..
Karen by Simonsen Mab Pants Lovely simple trousers with a great fit. The trousers have a regular fi..
Mos Mosh Cell Legging 118190 Tailored Cell Legging is blended with the perfect amount of stretch to..
Mos Mosh Naomi Freedom Jeans 117880 Blue denim jeans cut with tapered fit to be used slightly baggy..
Mos Mosh Nelly Freedom Jeans 117890 Long rise blue denim jeans to be used slightly baggy or high wa..
Mos Mosh Lucy Stretch Leather Legging A perfect pair of leggings cut from supple lightweight leathe..
Marella Farsa Trousers High-rise, oversized and flared crepe satin trousers which look like a skirt..
Marella 'Erminia' Wide Trousers Flared crepe satin trousers with satin details, concealed fastening..